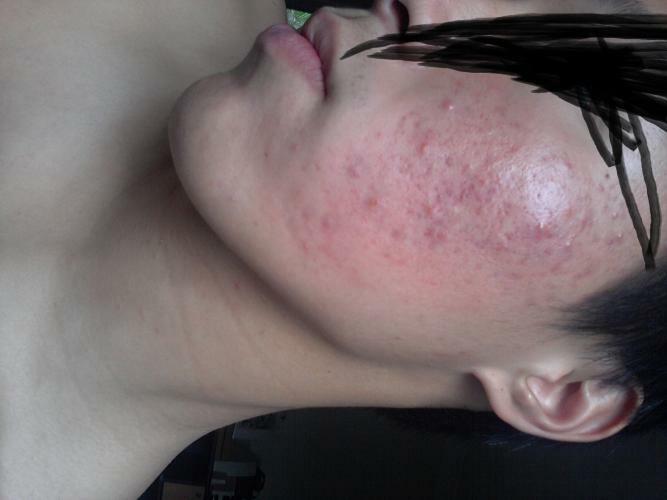 Ever since I started puberty which was at the start of year 9, I developed acne. At first it wasn't bad, just a little pimple here and there- but then my friends started telling me that I was getting acne. I wasn't worried though, because I thought acne was just a normal stage of teenage life. I started washing my face with cetaphil gentle cleanser for the time being in year 9, but my acne never really bothered me. 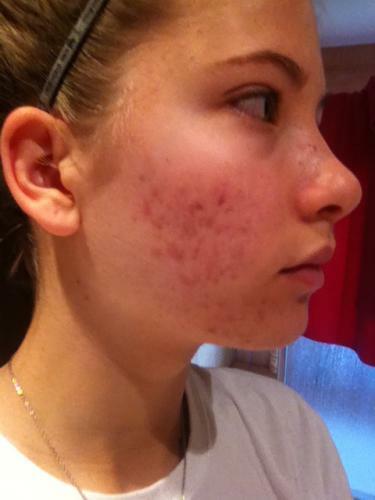 Year 10 was when I started to notice how bad my acne was. Infact, a girl who I liked and talked to alot ONLINE was so excited to meet me, but then got put off when she saw my face (I think) cause she said that 'I looked different then what I did online' and recommended some facial cleansers (WHICH I ALREADY USED DUH). Although we still dated for a month, I definitely knew that she would have been much more attracted to me if I had a flawless face. At the end of year 10, my face cleared up according to my friends mum. But then she recommended that I use benzoyl peroxide for my zits. So I used it and I reckon my face actually got worse, although I really don't have any photos to prove it. Now I'm in year 12 and my acne has never been worse. I started using epiduo (has BP) late november last year and took doxycycline for 4 months (and stopped as it didn't really help). 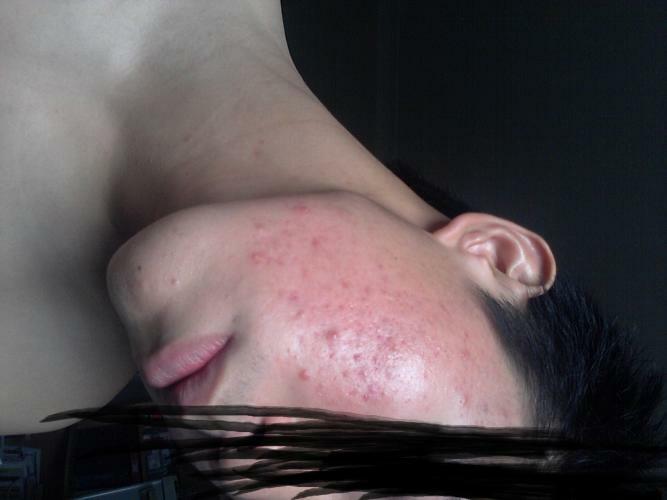 My acne improved but I recently broke out BADLY last month. I've tried to not let acne control my life and have used cleansers but none of them have helped. Also I only tend to breakout on my cheeks and NOWHERE ELSE. Looks better and not as red in the morning and before I sleep. thats what it looks like during the day. You may not see a difference but i do and if you do give it a try! You look incredibly pretty though. I wouldn't even worry about those scars, actually i would trade places with you and take your scars just so i could have your facial features. wow. Yes, diet does matter a bit but wuzy should not depend on this to get clear. For example, I went on all kinds of diets (paleo, vegan, fasting) and nothing worked. Diet does not CAUSE acne, but it could make it a bit worse. If she only goes the diet route, she could end up with new acne and new scars that will last a lifetime. The main treatments you should get are prescription meds like birth control pills (to take care of the hormone aspect, retinoids (tazorac or retin a) and oral antibiotics. Also, if you can, get salicylic acid peels every two weeks to increase epithelial cell turnover. You must be aggressive because indented scars are for life. The redness will fade with time and is not actual scarring. I would not recommend treating the red marks until the active acne is gone, and you MUST prevent future breakouts. 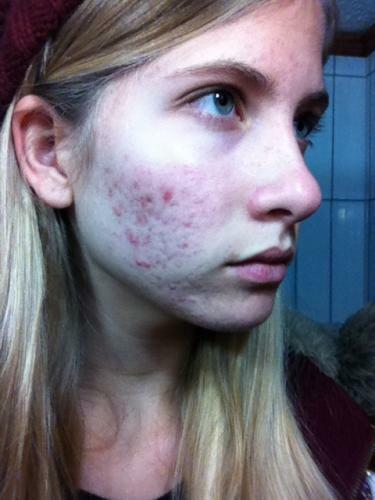 Do not buy the 'natural' diet stuff will cure your acne; nature can only do so much and it's 'natural' to get acne. I've tried every diet under the sun in my teens. You have acne because of your genetics: increased sebum production, decreased skin turnover rate, and more Propionibacterium Acnes bacteria on your skin due to that. The bacteria that causes acne actually has a name! Hence why you must get oral antibiotics. In fact, you are also kind. Thanks for helping us and stick around acne.org! I'm sorry 4meracne, but I can't notice them. You're probably right but even if she has scars they are shallow and not noticeable. 1.Should I use stop using oral antibiotics and epiduo (benzoyl peroxide cream + retin A) cause I reckon they do get rid of acne pimples but just clog up my skin- leading to future breakouts! Also, I've heard that those chemicals are not good for your skin as they release free radicals (cancer causing substances) AND you can develop a dependence on those products for life. 2. How often should I use a non-clomogenic moisturiser like cetaphil? Twice or once a day (morning/night)? 3. Should I use a physical exfoliator with microbeads that contains salicylic acid (but you cannot use salicylic acid WITH epiduo acne cream). Would exfoliating worsen my red marks or cause scars on active pimples? 1. No don't stop but maybe try minocycline my son's had great results. 2. I guess this depends on your skins dryness only you can make that decision. 3. I would say no because it may aggravate your acne try a chemical exfoliation with glycolic acid instead. put some apple cider vinegar across your cheeks, its an astringent and hsould dry it out accordingly. your luck you dont have massive dents, just active sites. much hope for you both. heal quickly will ya ! The active acne and redness must dissipate before any real evaluation can be made. So this is very old but was wondering if you ever became clear? I was going to suggest accutane.